Our silk ribbons are cut on the ‘cross’ (also known as ‘on the bias’). This means they are cut at a 45 degree angle from the straight edge of the fabric. Cutting on the bias gives fabric an unparalleled drape and fluidity, and cut edges don’t unravel. In order to create a continuous length, small inconspicuous seams, sewed carefully with silk thread, appear approximately every 1.5 m.
Your ribbons are colourfast, and can be gently hand washed. Use warm water and a pH neutral soap if necessary (such as a natural woolwash). Chemicals of any kind can alter the colour of your ribbon! This includes soaps, fabric conditioners, ironing sprays and plant food! Please dry the stems of any bouquets carefully before wrapping with your ribbons. Colours should not run, but particularly dark colours can rub off slightly under pressure, so be careful of white or light-coloured clothing. Iron on a warm setting, or spritz dry ribbons with water to create a gentle crinkle. The edges of your ribbon will soften and fray slightly with use and reuse. This trait can be accelerated by vigorous washing or by rubbing the edges with your fingers. Payment is accepted through PayPal. You do not need a PayPal account to purchase using PayPal. Australian customers can also pay by direct debit. Banking details are provided in the checkout process. Your direct debit purchase must be processed before your order will be dispatched. This can take several days depending on the banks involved. If your payment will be delayed for any reason, please get in touch! We endeavour to ensure your purchase is shipped within 2-3 days of receipt of payment. If for any reason there is a delay we will contact you with as much information as possible. All postage, including international, is through Australia Post. Please contact us if you have any queries about postage, or if your country is not listed. Your ribbons are hand-wound on to our custom-made spools, wrapped carefully and packaged into a sturdy box for shipping. If your parcel arrives damaged in any way, please document it carefully by taking several photos before opening it. If your items are subsequently damaged in any way, please get in touch immediately. Up to 12 spools of ribbon can be shipped for this price. Orders over this are processed according to weight and destination, and may incur an additional charge. Please contact me before submitting your order if you require your items in a hurry to ensure they’re dispatched quickly! Basic tracking is standard with your parcel within Australia. Delivery within Australia is usually within 5–10 business days. If your parcel has not arrived after that time, please get in touch so we can follow up with the post office to the best of our ability. All international shipping is per Australia Post shipping zones. We endeavour to offer the most cost-effective options. Express services are available, please contact us for a quote. Tracking can also be purchased for an additional cost. Note that these services can be expensive. Your ribbons are shipped from Brisbane, Australia. International mail may take up to 3 weeks to arrive to most destinations. If you require more information about timeframes to your particular destination, please get in touch. 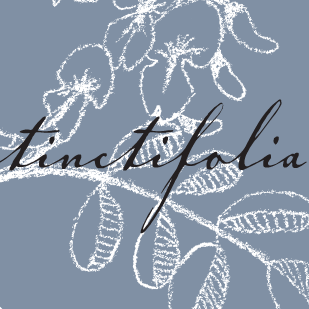 Tinctifolia cannot accept responsibility for any customs issues, costs, or refusals at entry to your destination. If you are concerned about your country’s customs laws, please investigate before purchase. If a package is returned to us from customs in the original condition, we will of course refund your money. 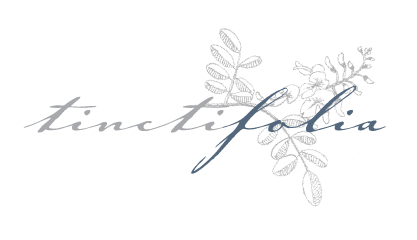 You are purchasing a completely natural, handmade product. Each ribbon is absolutely unique, and variations in colour and other markings are part of the appeal of the process of natural dyeing, and are not considered flaws. We want you to love your ribbons as much as we have loved making them for you, so please contact us if you are dissatisfied in any way with your order. We can accept returns under some conditions, so please contact us with any concerns. Natural dyeing is a highly variable process, and no two batches of colour are identical. We endeavour to ensure products are photographed in natural light and that colours appear as accurately as possible. Monitors and screens also differ in the way they depict colours, so if colour is particularly important to you, please get in contact so you are happy with the result! Natural dyeing is not necessarily good for the environment. Some traditional techniques and chemicals are toxic, and the process uses a lot of water. Modern techniques, however, have made a sustainable, environmentally friendly practice possible. No toxic chemicals of any kind are used in preparing your ribbons. We recycle water as much as possible, and everything eventually goes on the garden. Dye materials are grown by us, foraged (legally and sustainably!) from the local area, or sourced from reputable suppliers. Our ribbon spools are made exclusively for us in Australia from local FSC-approved plantation pine. Printed materials are sourced under the highest environmental standards available in Australia. All our packaging is recycled and recyclable, even the packing tape and natural cellophane.